What is an esthethuc dentistry? What is it different from other areas of dentistry? Basically, is a field of stomatology that uses the remaining specialties of implantology, surgery and prosthetics and combines them to achieve the best possible visual effect. Esthethic dentistry is focused on planning treatment to achieve the best aesthetic effects. Mr Marcin, who lost his latitude of smile, came to us lookinf for help many years ago. He also lost the opportunity to express unhampered joy and comfortable everyday life. His problem was worn and missing teeth also a malocclusion The patient, an active sportsman, lives in permanent turnouts, we had to establish our cooperation in such a way so it would meet the patient’s expectations, and at the same time be effective and bring a predictable and satisfying effect. 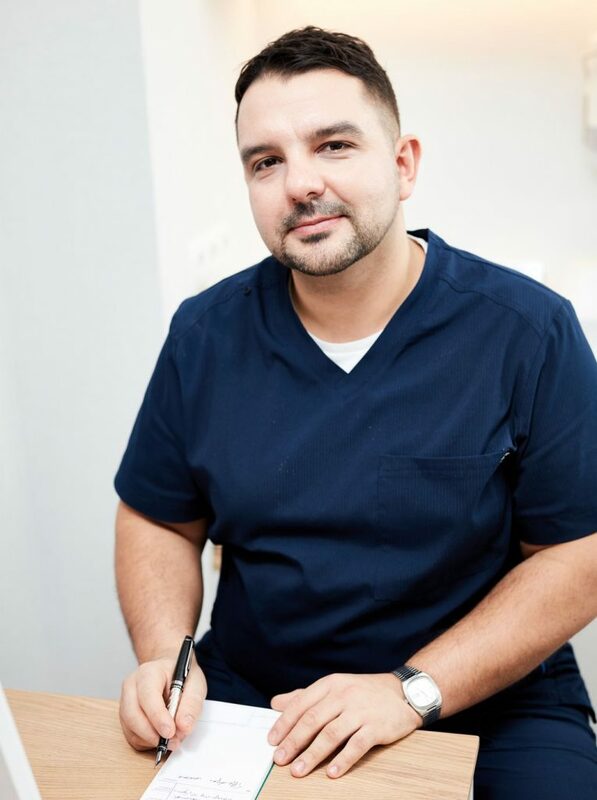 Therefore, Dr. Zarański started working with the patient with a long and honest conversation during which he discussed the problems with which Mr. Marcin came to him. It turned out that he is an extremely cordial and smiling person. The new smile that I created for him became the complement of what a man is. It let him become a complete super man! It is noteworthy that after completing the treatment, Marcin realizes himself fully in private and professional. He smiles a lot and is happy. A good aesthetic dentist is not only a specialist in medical matters, but also a specialist in the field of designing a smile that matches the facial features, as well as an excellent photographer. That’s why I use professional photography to build relationships with the patient. I try to capture the patient’s natural smile in the frame and make people open to me so that I can meet his internal needs and recreate the natural ease of a smile. Creating a project and visualization – apart from medical aspects – I also focus on finding the perfect proportions of teeth and face. 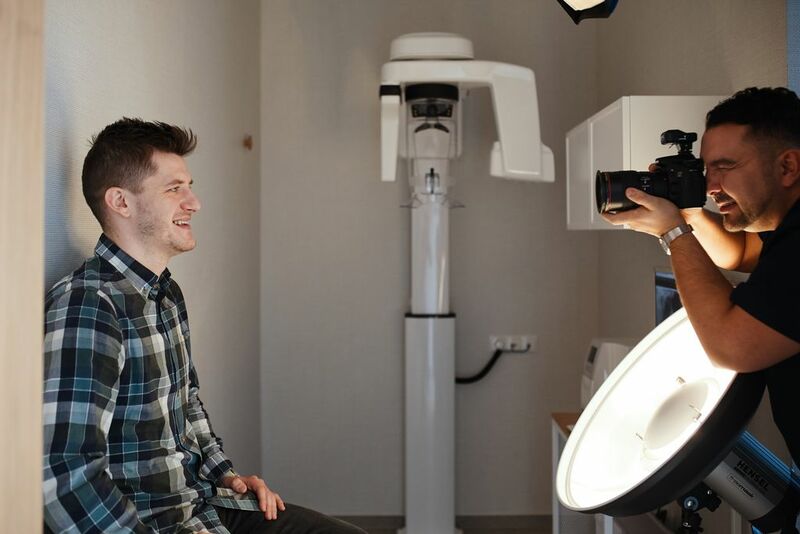 That’s why Dr Zarański takes documental pictures before, during and after treatment because it allows him to follow the treatment process and control its proper course. All these details build mutual trust between the doctor and the patient. A good relationship with the patient is the key to success. My patients finish treatment with positive emotions. The change of beliefs that takes place in the patient’s mind is the best reward for me as a doctor – says Dr. Tomasz Zarański. Would you like to have a smile that is perfectly matched to the features of your face and its proportions? If you have questions about aesthetic dentistry, call us or book an appointment. Patients after the end of the treatment process remain in constant contact with me, often they bring their families and a lot of friends. 90% of my new patients come to me from a command.